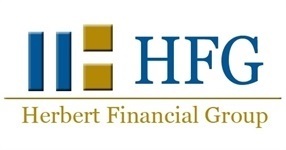 At Herbert Financial Group (HFG) we understand that individuals and business owners may not fully comprehend the intricacies of retirement planning and we are committed to helping clients overcome this matter. We present comprehensive and holistic wealth management and planning strategies with minimal effort required from our clients. Our streamlined results are simple to understand, integrate state-of-the-art planning tools and technology, and give watchful consideration to tax-related, estate planning, and Medicare concerns. We pride ourselves on acting as a continued and consistent resource of guidance and advice while providing exceptional personal service from a dedicated team. At HFG, we are always available to personally assist our clients with financial questions and concerns. As an independent firm, HFG does not have any proprietary products or shareholders to answer to, thereby removing many conflicts of interest. We work with our clients’ needs in mind and seek investments that are appropriate for them and their families. As a fiduciary, we practice transparency and objectivity by placing our clients’ goals at the forefront of our firm.